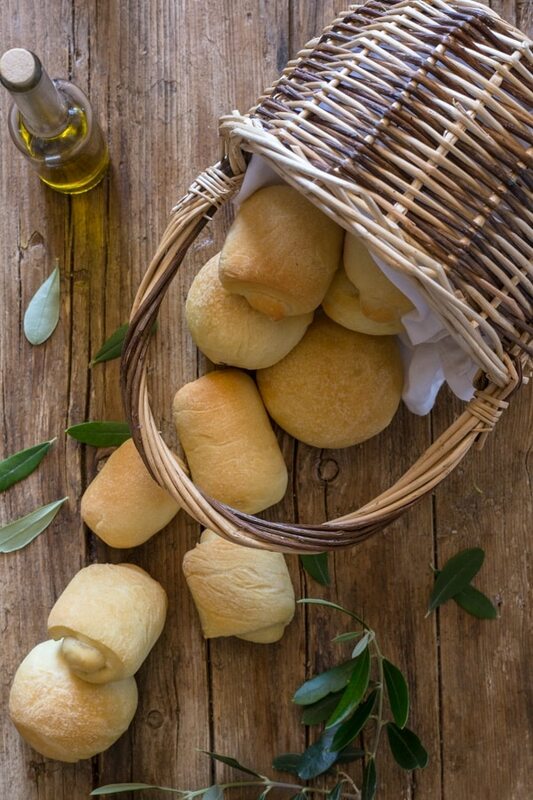 Nothing like a Yeast Bread, especially these delicious soft Olive Oil Bread Rolls. 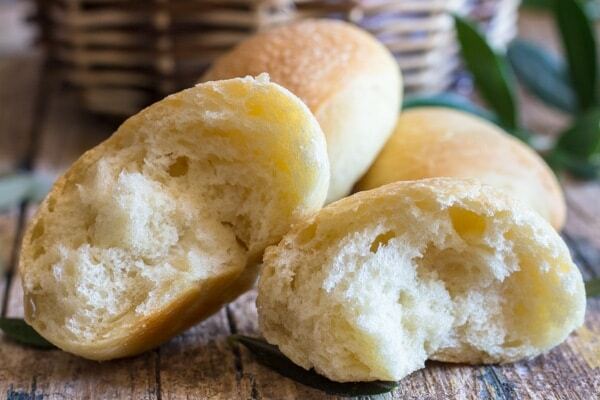 Easy Homemade bread never tasted so good. If you have ever been to Italy you are going to know that there are probably more types of bread than Pasta, over 350 types to be exact. So good and so hard to decide! 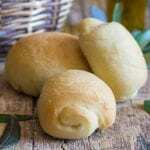 One type of bread that my kids always loved are these soft Olive Oil Rolls. These also make the perfect sandwich buns or dinner rolls especially with Thanksgiving and Christmas around the corner! Liariano – One of my favourites, a dense closed crumb bread. Focaccia di Genova – A thick almost Pizza type, slice it up the middle and fill with fresh prosciutto or mortadella. So good. 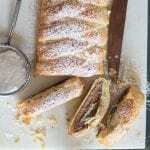 Grissini Italian Bread Sticks – Long crunchy sticks of bread. Rosette – My husband’s favourite, a large bun with very little crumb. Ciabatta – A long, broad, flat bread, full of holes. During the Summer and early Fall my house is at the perfect temperature for my dough to rise. Bread making is not difficult it is just needs time. I remember the days when my mother and father-in-law would fire up the wood burning stove and they would make enough bread for the week, with enough to give a loaf or two to us. So good, and if you were lucky she would make her amazing pizza too. Those were the days. Now I’m lucky if I make enough for a couple of meals. But I have to say you can’t beat homemade bread. Warm from the oven, nothing like it. 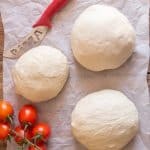 How to Make Homemade Bread? Add the yeast to the water and honey, let sit 5 minutes. In the stand up mixture bowl, whisk together the flour and salt, then add the yeast mixture and oil. With the hook attachment, start to knead until the dough comes together to form a ball. 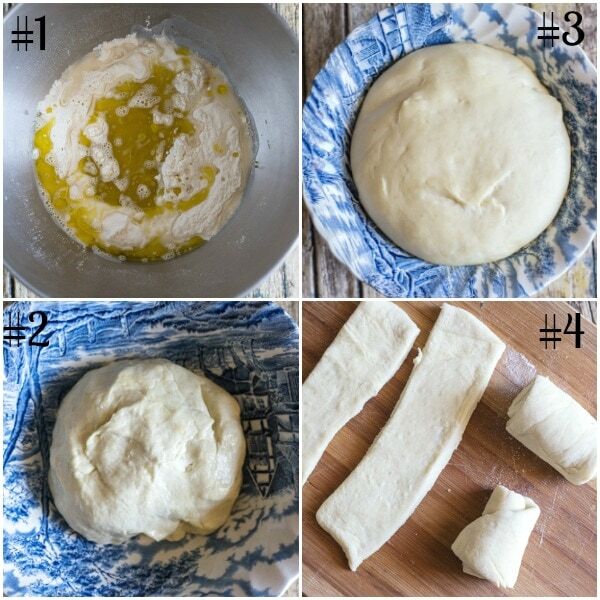 Place the dough in a lightly oiled bowl and cover, let it rise in a warm draft free area for about 2 hours. Then form the dough into 10 -12 balls, place on a parchment paper lined cookie sheet, cover and let rise another hour. Brush the rolls with a little oil and bake for about 10-15 minutes at 400F. Let cool or eat warm. 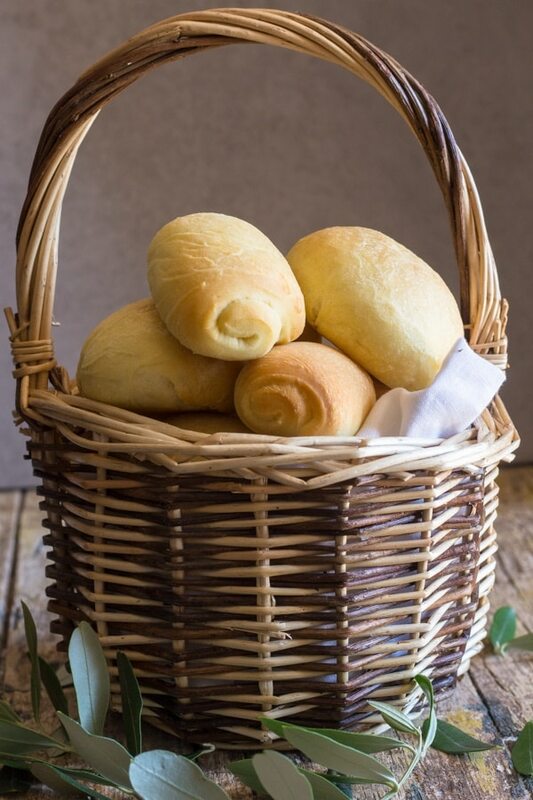 If you happen to make bread and would love to know what bread freezes well and how to freeze it, then this post from The Kitchn – The Best Way To Freeze and Thaw Bread. This is a very simple bread recipe, no eggs needed, just flour, yeast, olive oil, water, salt and rather than use sugar I prefer to use honey. Why is sugar used in Bread making? It helps the bread to rise (without sugar the bread will take longer to rise and sometimes not at all), it also gives the bread a better flavour. Whether you are novice bread maker or bread making is your thing, I hope you give these a try and let me know. Happy Baking. Enjoy! In a small bowl add the water and honey, sprinkle the yeast on top and let sit for 5 minutes. Then stir. In the bowl of your stand up mixer whisk together the flour and salt, make a well in the middle and add the yeast mixture and oil. With the hook attachment knead until the dough comes together and forms a ball (about 10-12 minutes, stop halfway and scrape off the dough from the hook and the sides of the bowl). 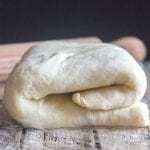 Remove the dough to a flat surface and knead into a ball, place in a lightly oiled bowl (roll in the dough in the bowl), cover and let rise in a warm draft free area for approximately 2 hours, or doubled in bulk. Remove the dough from the bowl and punch down, form into 10 - 12 balls** (keep the dough covered while making the balls), place on a parchment paper lined cookie sheet, cover and let rise in a warm draft free area for approximately 1 hour or until doubled in bulk. 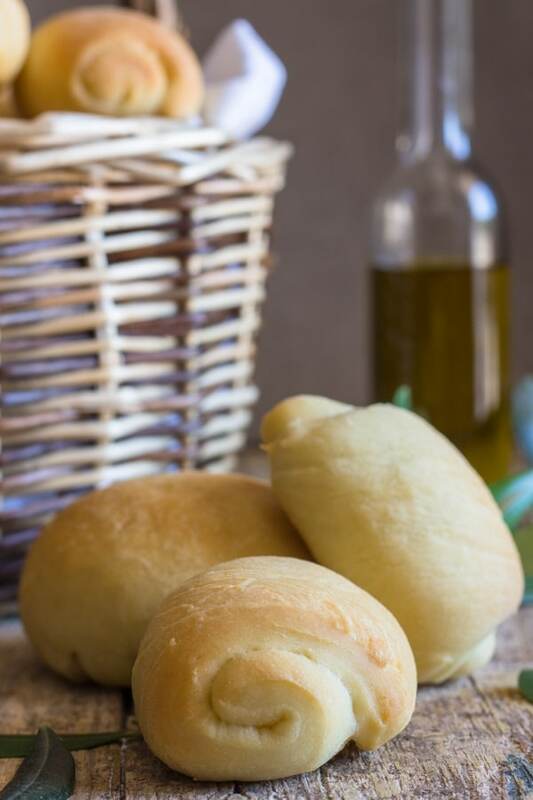 Brush the dough balls with a little olive oil and bake for approximately 10-15 minutes, until golden and when tapped on the bottom there is a hollow sound. Let cool or eat warm. Enjoy! 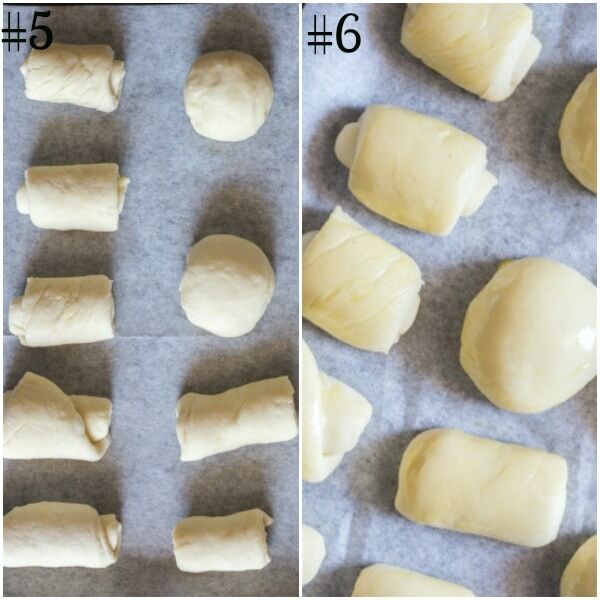 **You can also roll the dough balls into a long rectangle shape and roll up (see photo). I just ordered some Organic Italian 00 soft wheat flour. Can I use that in this recipe and others that call for All Purpose? Thanks! Hi Debbie, you can use it for pretty much all the recipes but not for cut out cookies (you need a flour with more protein). It is great in Italian cakes and cookies, pasta and pizza. Hope that helps. I was just wondering, I’m in England so the ingredients differ slightly. What flour is it you use and what is the equivalent in English ingredients? It is bread flour or plain flour? Lovely recipe. Hi Ginny, thanks so much, I use all purpose so the equivalent in England would be plain flour. Hope that helps, let me know how it goes. 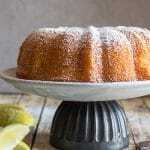 I so much enjoy your recipe blogs. my question in you answered to Ginny i:s Does it make a difference if I use Bread Flour instead of All-Burpose Flou in making breadr? I usually use Bread Flour. What Brand of flour do you usually use. This last time, I purchased a different Brand than KA Bread Flour because it was a little lesse in price, but the textureof bread was different. Hi Esther, thanks so much, you can use bread flour if you want, it just makes the bread chewier, I use all purpose because I try to use ingredients that most people have on hand. Hope that helps. These looks like they’d be great for toasting with some jam! 🙂 That’s my favorite thing to do with leftover dinner rolls. I’ll definitely have to give this one a try! Hi Monica, thanks so much. Sounds like a good idea, never tried these toasted. Have a great weekend.